Residents of Raleigh have always known the luxuries of living in this thriving southern city, but their secret is out as Raleigh tops several best live, work, and play lists. MSNBC ranked Raleigh as the top place to live in the United States while Kiplinger’s Personal Finance Magazine put it at number two. While Raleigh takes pride in both rankings, what should have residents really excited is that Forbes.com selected Raleigh as the fifth best recession proof city as well as the second best city for bargain house hunters. Raleigh was also the only city to finish in the top ten of three categories in Bizjournals findings of markets with top population growth, job growth, and the percentage of young adults with college degrees. As if this long list of top national rankings is not enough, the Raleigh airport was also recognized as the tenth least miserable airport by US News and World Report. Raleigh is truly a great and thriving place to live and work right now, and with the rest of the nation facing economic hardships and a harsh housing market, these great recognitions can only drive more industry and profits into our city. 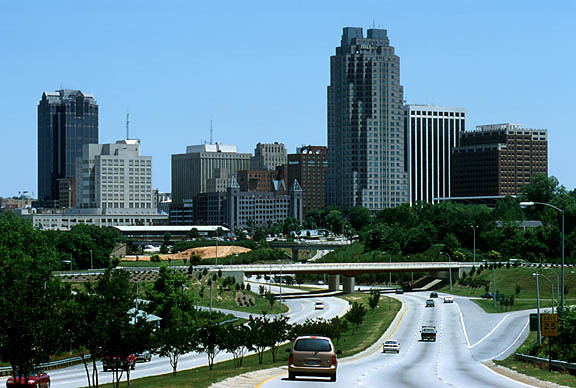 Raleigh and its surrounding area is also such a great place to raise a family, that it was only a matter of time before the rest of the nation caught on to our best kept secret. This entry was posted in North Carolina, Raleigh new homes and tagged Raleigh on July 2, 2008 by Carol Morgan.